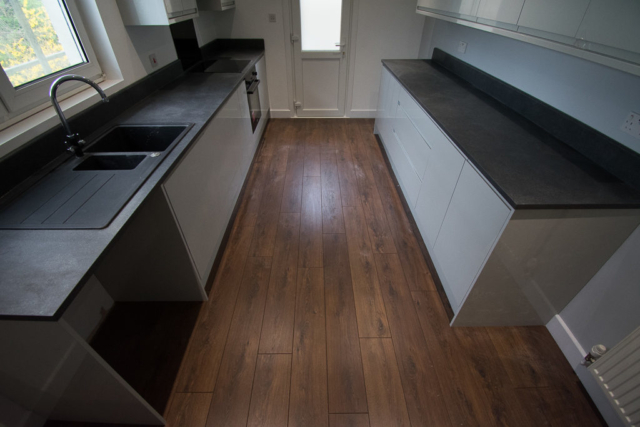 Champion Projects are flooring specialists who supply and fit an extensive range of floor coverings throughout Poole, Bournemouth & Dorset to both domestic and commercial customers, they also offer an install or supply only service. 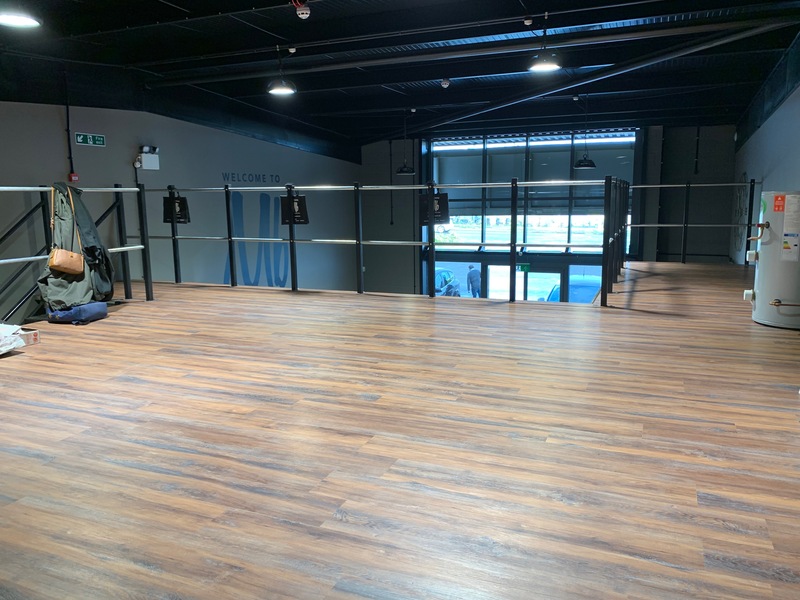 With over 10 years of experience Champion Projects provide high quality flooring solutions working in partnership with a range of flooring suppliers to select the most suitable product for your living space or commercial premises. 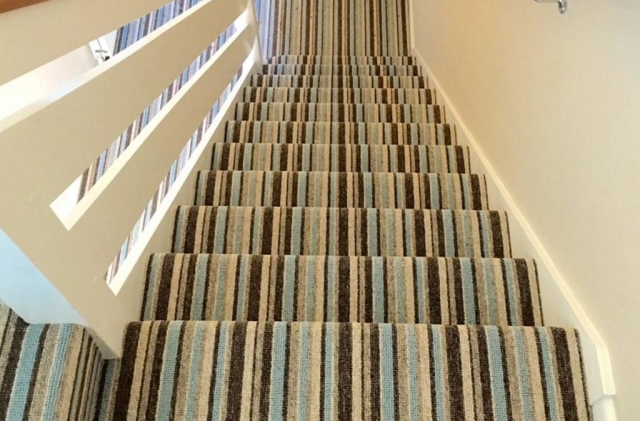 Carpets: Working with local suppliers Champion Projects can supply and fit carpets in a variety of styles such as twist and loop pile. We offer 100% wool carpets, 80% wool carpets combined with polypropylene and 100% polypropylene. 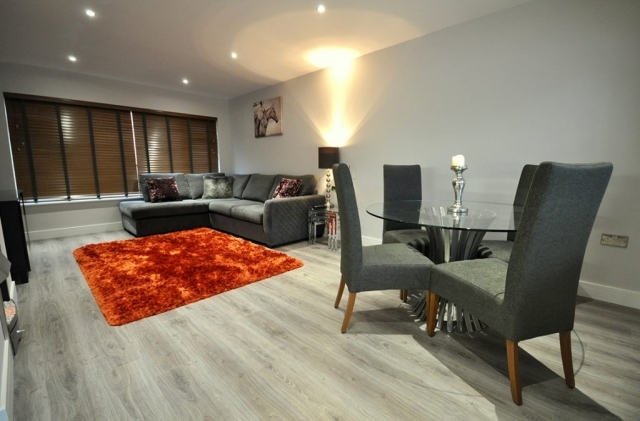 Wood floors: Champion supply and install easy to clean wooden floors in a variety of finishes including laminate, hard wearing engineered wood and solid wood. 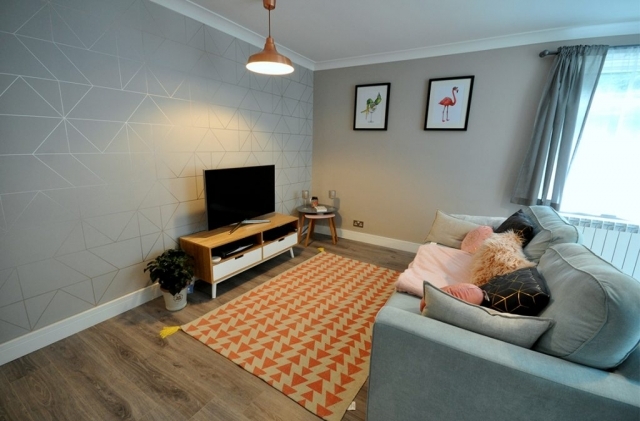 Karndean floors: This stylish wood or stone effect vinyl floor covering, installed by Champion Projects, comes in a range of styles, colours and textures. 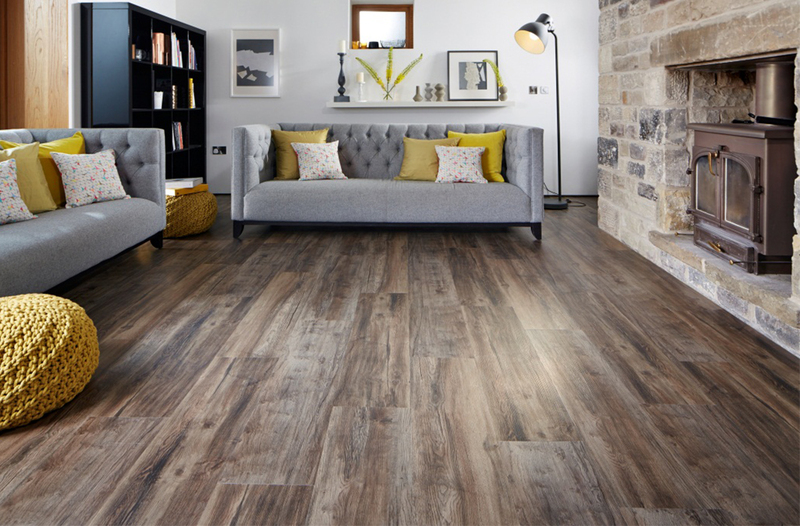 Amtico floors: Champion’s fitters can install Amtico floors that are suitable for your home living spaces or retail and commercial premises. 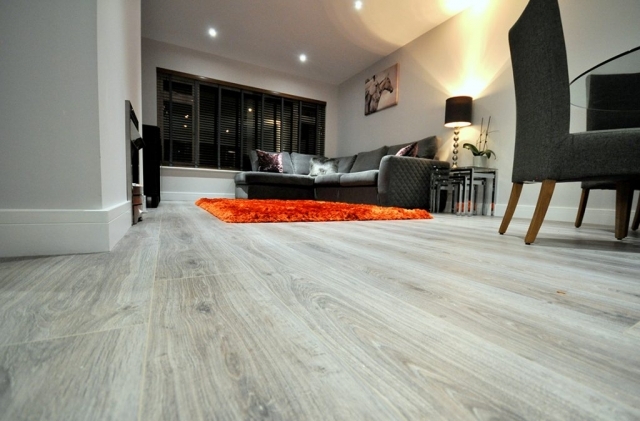 The flooring is available in stone, wood or pattern finishes. Vinyl flooring options: A vinyl floor is a practical and affordable solution offered by the flooring specialist at Champion. 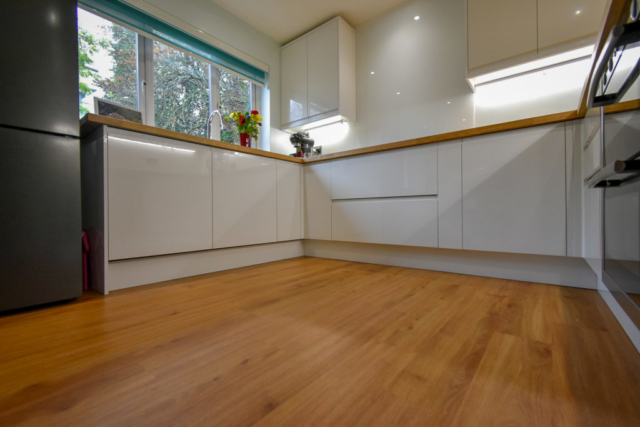 A vinyl floor is a popular choice for kitchens, bathrooms, workplace washrooms and utility areas. 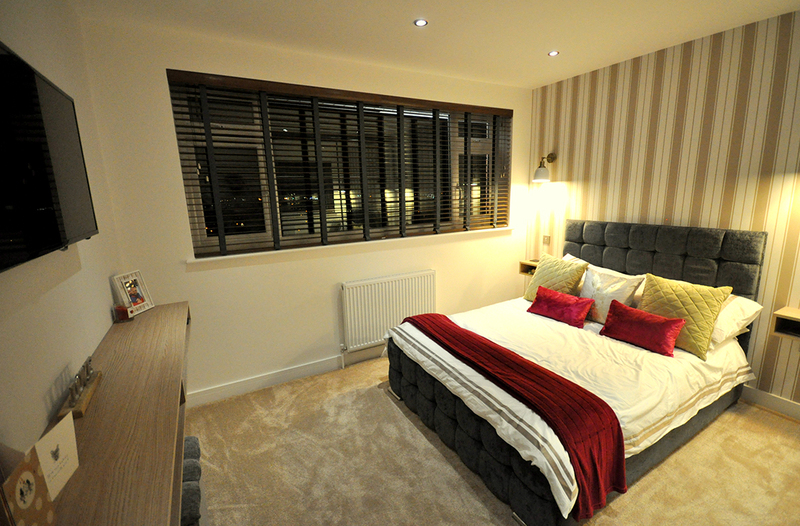 Champion offer both vinyl sheets and luxury vinyl tiles for your home or business. 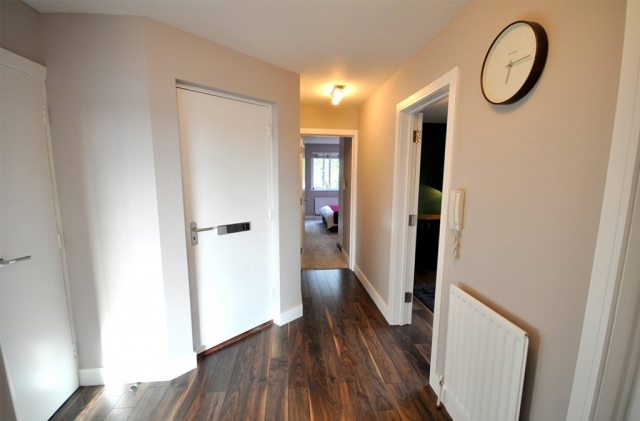 Laminate flooring: We supply and fit a lot of laminate flooring locally. Please see more details below. 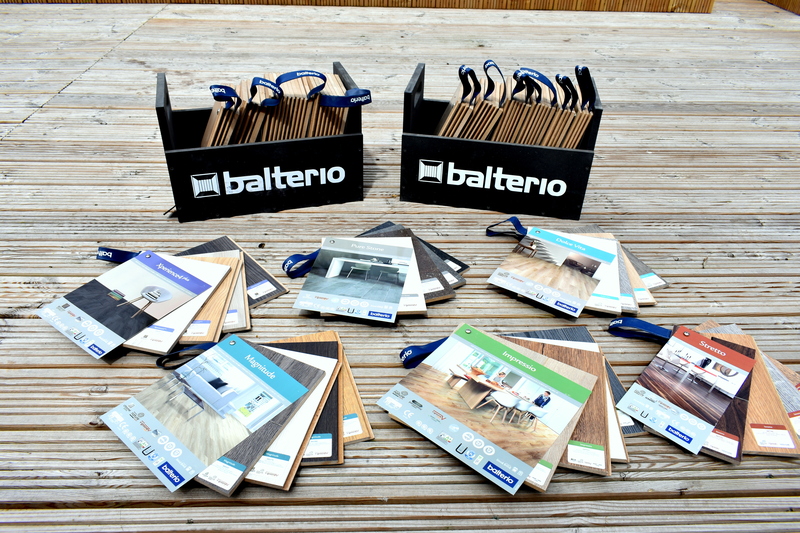 As a local laminate flooring installer covering Bournemouth and Poole, we are happy to visit your Dorset home with a variety of samples, measure your floor space, supply the laminate flooring and come back at a time that is convenient to you with our laminate flooring fitter to install your new flooring. 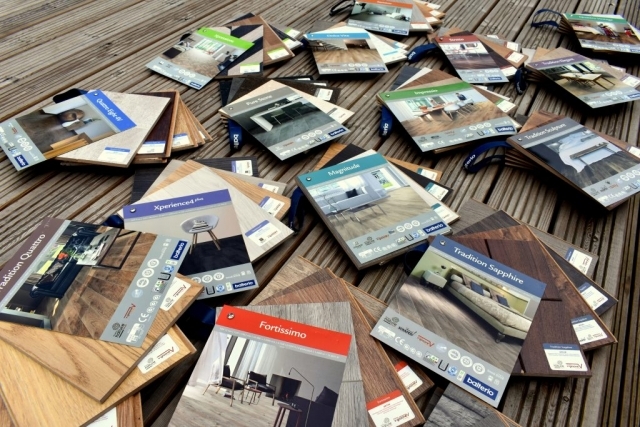 We offer a huge collection of quality laminate flooring solutions, from traditional dark wood laminate flooring and vintage wood effect laminate to pure stone effect and white laminate wood flooring. Laminate flooring is a great choice for your family home, with just regular hoovering and occasional light mopping needed to give your laminate floor a timeless look. 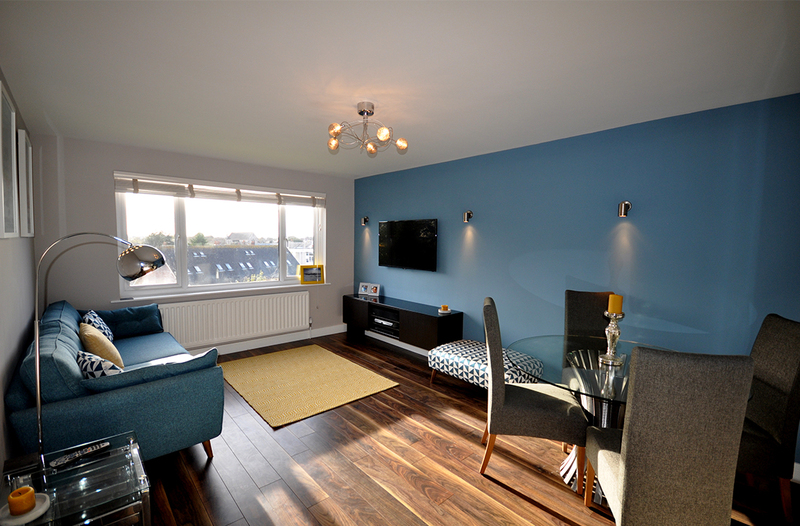 Laminate flooring also gives you that feeling of spaciousness while closely replicating the textured surface of a solid wood floor. The laminate flooring installer and flooring specialist, Champion Projects, use a range of surface preparation techniques to help the customer achieve the perfect finished wooden, vinyl, carpeted or laminate floor. Sub-floor preparation options can include latex, floor levelling, plywood and underlay. Our fitters also offer an uplift and disposal service for a reasonable fee. 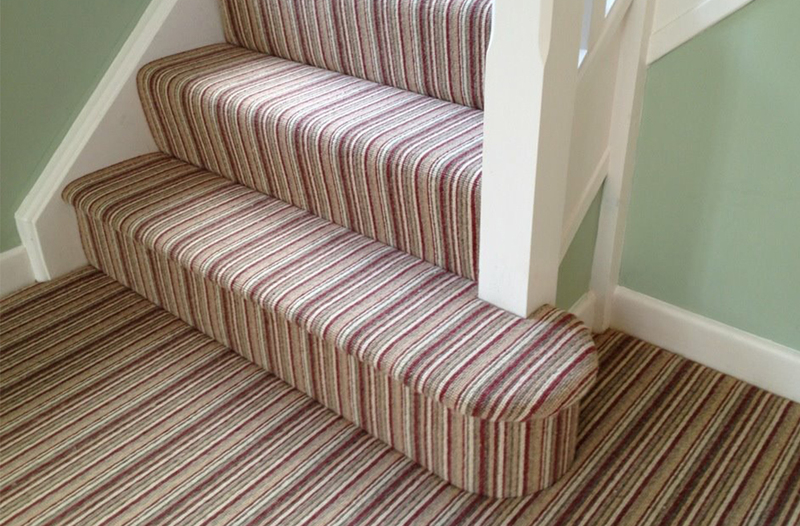 Champions experienced flooring team can supply and install a range of long lasting floor coverings. 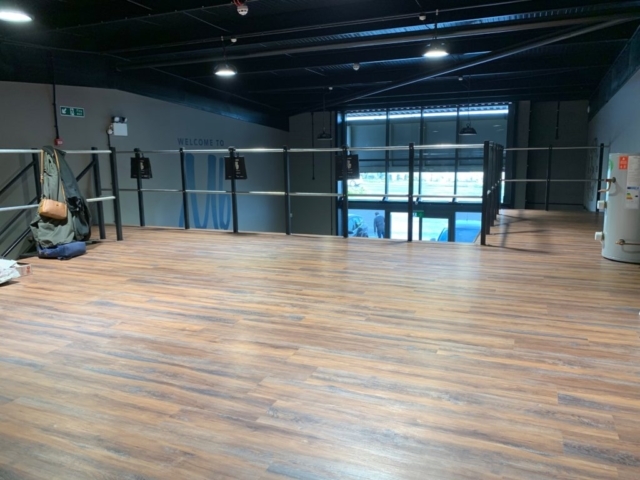 If you are looking for a high quality flooring solution in Dorset contact the flooring specialist at Champion on 01202 656889 for a free quotation or to view our samples.